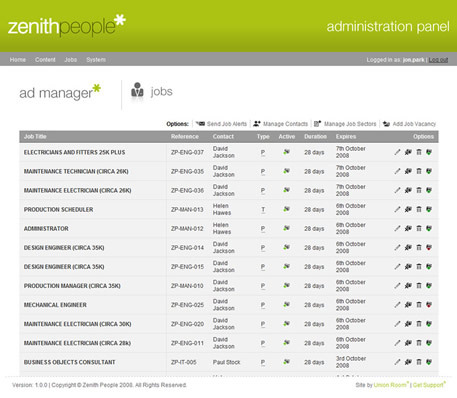 The Zenith People website was quite a large and complex project. There doesn’t seem to be much happening on the surface, but when you look at it a little closer, most of the work goes on behind the scenes. However, with two different vacancy searches, a vacancy application function with CV upload, a Postcode distance search and an email contact form, the public-facing part of the site is far from feature-free. Even still, by far the most detailed part of the website is the administration panel, specifically the vacancy management tool. This project saw our first widespread use of AJAX, the admin tool being the perfect place for such a process-streamlining technique. 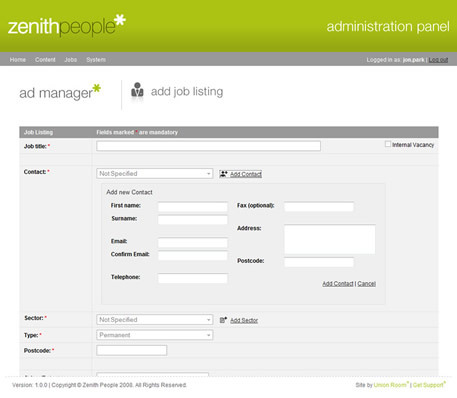 At its simplest, AJAX was used to show, hide and delete advertised vacancies. On a more detailed level, we used it to manipulate the vacancy-posting screens. For example, if a particular job was to be put into their own ‘careers’ section, the form changes to display only the fields such a posting requires without reloading the page. In-line forms were also provided to help stop any unnecessary back-and-forth between admin sections. 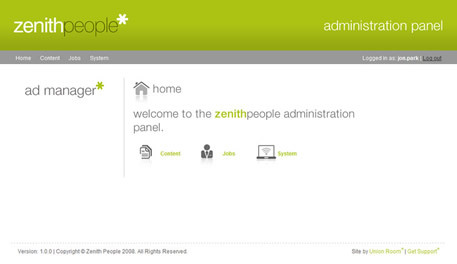 Zenith People have been a great client to work with. With their continuous input, we came up with a site that matched their individual needs, complementing their working process. From my own point of view, this has also been a great project to work on. An enthusiastic client with a challenging set of requirements is always a bonus in my eyes.